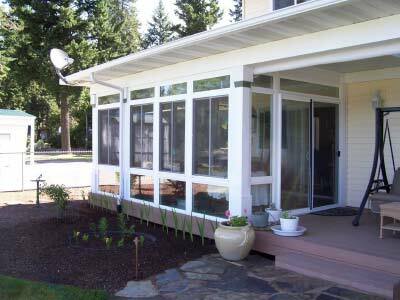 You’ll enjoy spending more time outside with a lattice or glass patio cover. 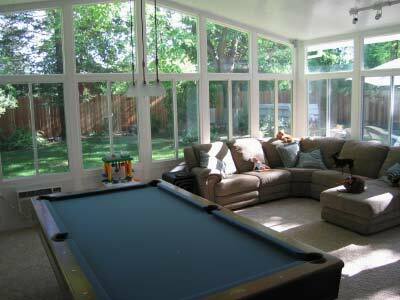 The sun can be overwhelming in the summer, but that doesn’t mean you have to hide out inside! 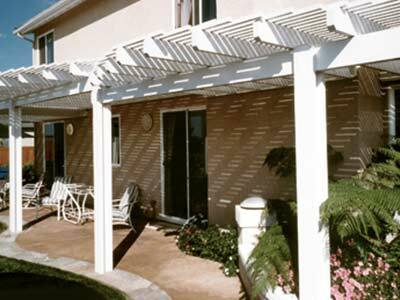 Install a high-quality, affordable Victorville patio cover and spend more time outdoors. 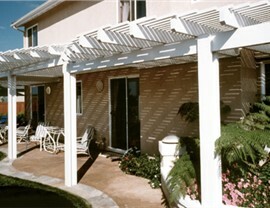 We have been patio cover installers since 1947! That means we have installed thousands of covers in a wide variety of styles so you can rest easy knowing that we have design details that will enable you to relax outside in comfort while enhancing the exterior of your home at the same time. We don’t just put a shade on the side of your home and call it a patio cover. We work with you to choose a patio cover installation that will provide your home with architectural interest instead of installing one that just ends up looking like an eyesore. We stand behind our gorgeous, functional patio covers with a lifetime limited material warranty. We guarantee that painted aluminum parts will never peel, our vinyl thermal cladding will never fail, and our glass panels will never break. We’re an industry leader in patio covers in Victorville, CA, first because we have over 70 years of experience in the industry, but also because we focus on the customer experience. That customer experience starts with a free estimate! Give us a call to discuss pricing on all our patio options or take a moment to fill out our online form for a quick, free quote!